I’ve never thought of this blog as being a vehicle for beer reviews. 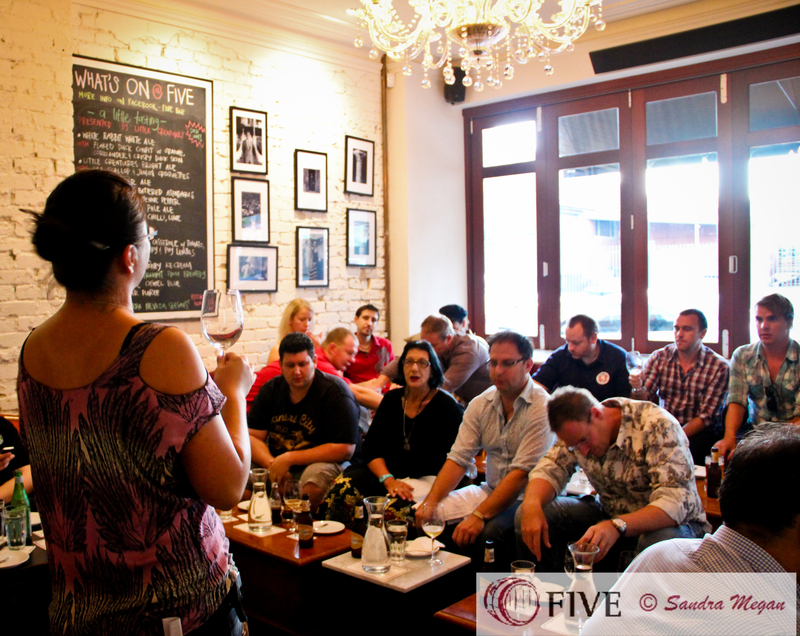 After finishing up as assistant manager at Five Bar where we had worked hard to create a beer focused venue, I found myself missing my beery conversations with customers and ta-DA! girl+beer was born. Here I can once again talk with people about beer and share experiences around beer, especially local beers in the south west. I am not a beer expert; I’m constantly learning and every post, every beer teaches me a little more (and also reminds me I really need to start running again!). I don’t know the ins and outs of brewing, I don’t know style guidelines but I love beer, its stories, its complexity and the beer community. I guess what I am trying to say, in a very long winded way, is that I don’t think of my writing as “beer reviews” and I didn’t start my blog with the intention of trying to “score free stuff”. You may wonder why I have rambled on this tangent, well I’ll tell you – I recently received an email from Katey at the Dig Marketing Group. The email was pretty brief; she wanted to send me a free sample of a new limited release from O’Brien Beer, could she have my postal address? I replied with my details because it was a nice offer and I’m always keen to try a new beer. Katey didn’t request that I review the beer on my blog. I’m not sure what the blogging etiquette is but writing up a post on this seemed like the right thing to do if someone went to the effort to send me a free beer in the post from across the country. 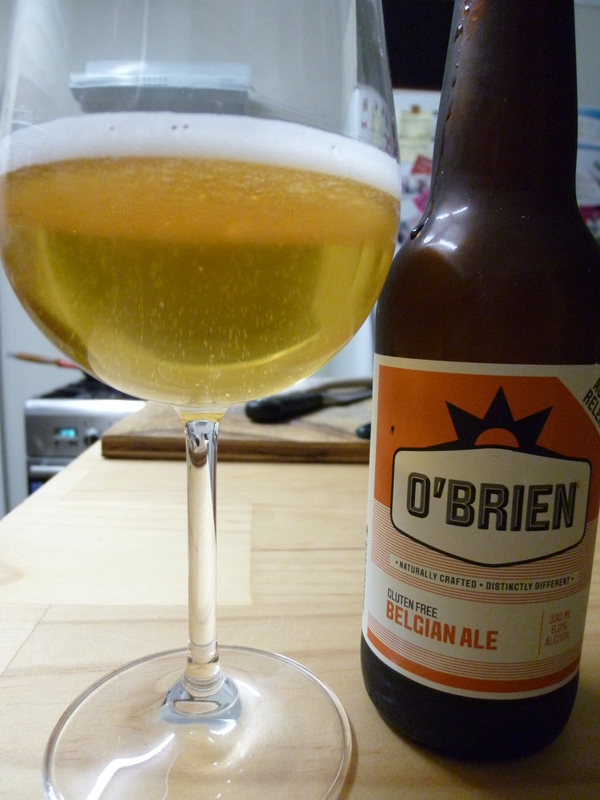 I wasn’t familiar with O’Brien Beer so, if you’re like me here’s a little background. It comes out of Ballarat, Victoria where they produce gluten free beer. Its founders John and Andrew were both diagnosed with Coeliac Disease and set out with the seemingly simple agenda to brew great tasting beer without gluten. I say “seemingly” because they tackled this goal with no professional brewing experience and that, to me, is great. The O’Brien Beer core range is now up to four; their story is a good read around beer and the unexpected, shared hobbies and a close call with a fire. Check it here on their website. And now, let’s get to the beer shall we? 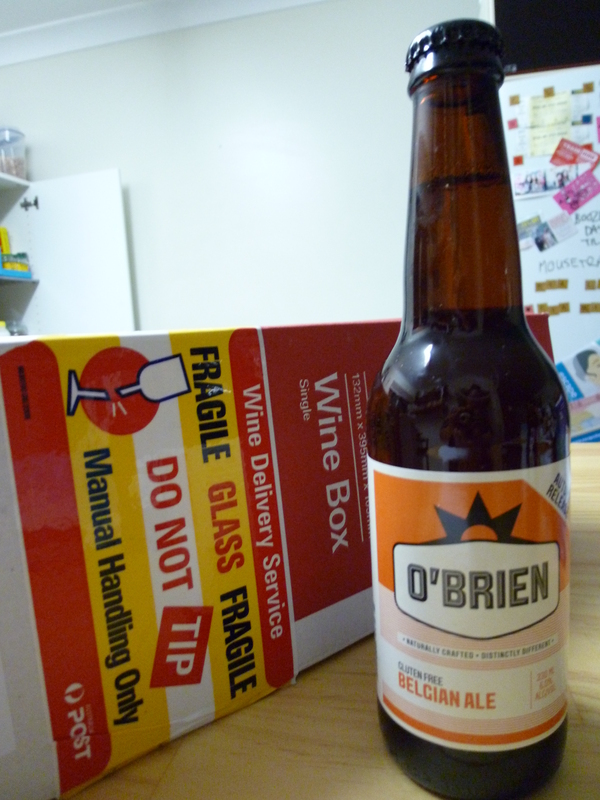 The Belgian Ale represents the first O’Brien limited edition gluten free beer. Production was limited to just 240 cases of 330ml bottles and a few kegs for their own brewery bar. “Brewed to cater for Australian autumn beer tastes”, the media release states, “it is still light and refreshing for the sunny warm days, but has a gentle alcohol warmth for the cool nights”. I poured it into a wine glass, cause I’m a bit posh like that sometimes, and first noticed the inch thick of fine white head with tight bubbles. Yippee! It dissipated quickly to quite a thin cover. Less yippee. It might seem obvious to say but I’m going to anyway, you should definitely let this beer warm up. My first sip, fresh out of the fridge, had been underwhelming. As it warmed up those Belgian yeast characteristics of banana and clove came screaming through. I thought, oh this is just going getting better! I put the glass down and went off to check Facebook and stuff, leaving it to warn up a bit more. Soft flavours of banana and clove bounced off a nice cereal base, backed up with a little honey, melon and light spices. Delicious! But don’t let all these delicate little flavours fool you, there’s a 6% abv hidden in there that leaves a nice warming feel. The O’Brien Belgian Ale is kinda like a wheat beer that went out, got a little tipsy and is now having a good ol’ groove on the dance floor. Yup, I’d buy a pint of this for myself and a friend. Thank you Katey at Dig Marketing for thinking of me and sending me a beer in the post. I’ve never received a beer in the post before! Thank you O’Brien Beer for allowing me to try your brand new beer.